If you’re planning to become a digital nomad traveling in China, you must be equipped with the right information about the country, its people, and their culture. The People’s Republic of China has always been a popular choice of digital nomads. Its charming sceneries, rich history, and thrilling combination of tradition and modernization entice travelers across the globe. What makes the country so special? China is known as the most populated country, but it has a lot more to offer. It has a history of over 4,000 years, which is the reason behind the country’s rich breadth of culture. Its language is also unique. The Chinese language boasts originality and complexity. Even the food has its own distinctive culinary styles. The country also has spectacular ancient and modern architectural feats. Aside from the iconic Great Wall, there is a lot of magnificent palaces, pagodas, giant Buddhas, and breathtaking skyscrapers. Most importantly, China offers plenty of opportunities for entrepreneurs and professionals. Due to its booming startup ecosystem, more and more foreigners are turning their entrepreneurial dreams into reality in China. What are the best cities in China for digital nomads? 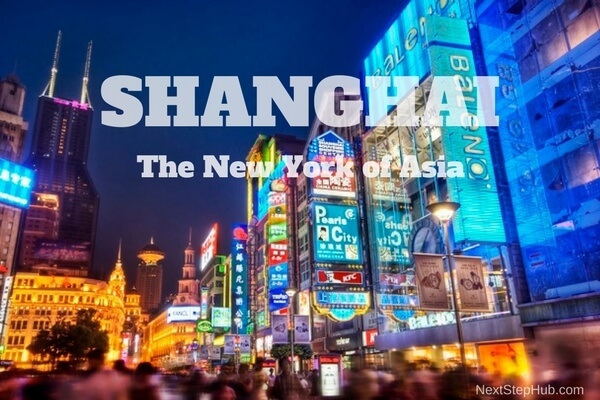 Dubbed as the “New York of Asia”, Shanghai is the center for all cultural events, conferences, and exhibitions, such as 2010 World Expo. It’s one of the most expensive cities in the world to live and work. Everything you need to work remotely is here. The city has plenty of coffee shop chains, tea shops, and restaurants. 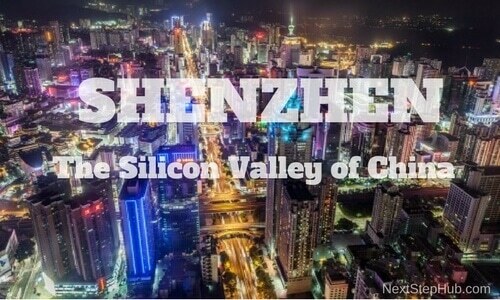 Known as Silicon Valley’s hardware manufacturing hub, Shenzhen attracts professionals and entrepreneurs. The young yet rapidly growing city is also famous for its large startup ecosystem. There are more than 600 companies, millions of registered investors, and almost a million transactions per day in Shenzhen. It’s less than an hour away from Hong Kong as well. Home to the e-commerce giant Alibaba, Hangzhou is an emerging technology hub. It’s the most populous city of Zhejiang province in East China. 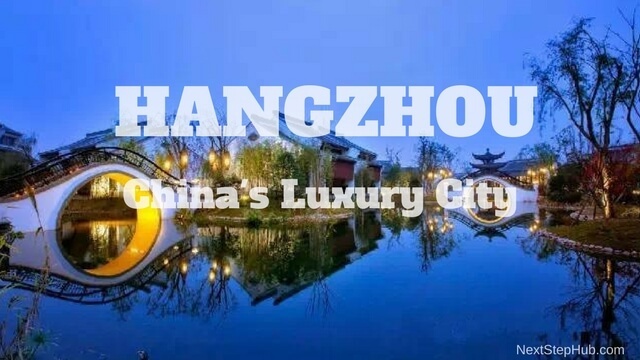 Marco Polo, the famous Italian traveler, described Hangzhou as the most luxurious city in the world. Today, many entrepreneurs recommend the place for business and pleasure. Formerly known as Canton, Guangzhou is China’s third largest city. It’s one of the most important manufacturing regions across China. 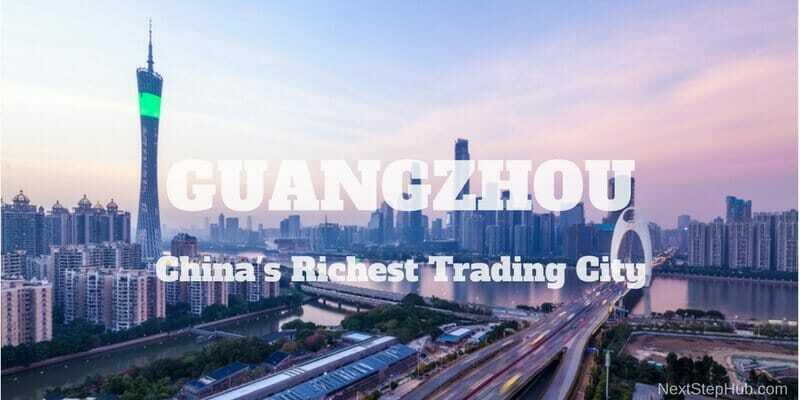 Guangzhou’s affluent economy is mainly based on import and export industry, technology, and trade. Many expats here managed to land jobs in these fields. Beijing is the capital of China and the world’s second most populated city. Beijing showcases an awesome blend of modern and traditional architecture. 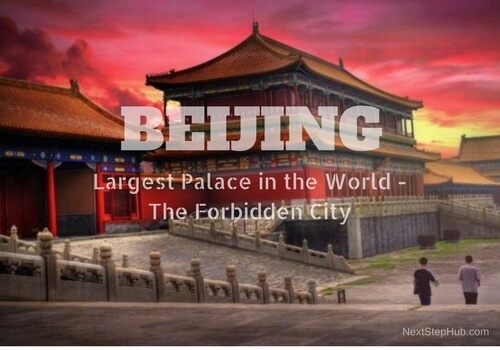 There are seven UNESCO World Heritage Sites – the Forbidden City, Temple of Heaven, Summer Palace, Ming Tombs, Zhoukoudian, as well as parts of the Great Wall and the Grand Canal. Because of the city’s modern technology and ancient establishments, many nomads still recommend this place despite the rising levels of air pollution. 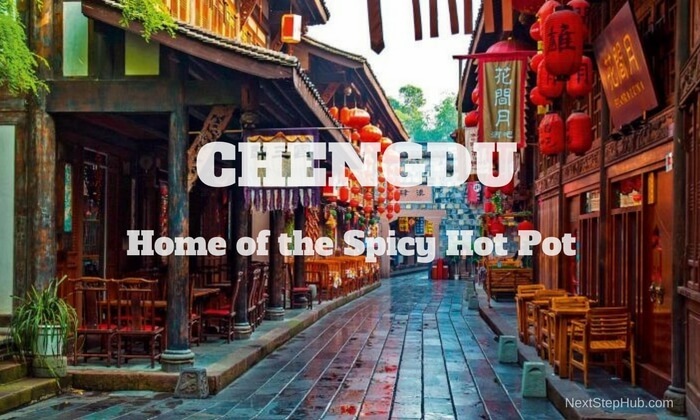 Also called “Land of Panda”, Chengdu is deemed to be a benchmark for foreign investments. It’s becoming a key hub for the economy, transport, technology, and international exchanges. The IT giants around the world have set up operations in Chengdu, including Dell, Siemens, IBM, and Ubisoft. When is the best month to visit China? The ideal weather to travel in China is during spring, which is from March until May. It’s also great to visit the country during autumn, or late September to early November. Keep in mind that the hotel rates can be high during these times. Rates are lower in February, early June and September, and late November and December. It’s also wise to avoid the three main Chinese public holidays; The Chinese New Year or Spring Festival, May Holiday, and National Day. Even locals are on the go during these holidays, so tourist attractions, airports, and train stations are too crowded. Now that you know where and when you should go, let’s discuss the most important thing you need to enter China. Your visa. If you’re going to China to explore or visit your friends and family, you’ll need a type “L” visa. Typically, it’s valid for 90-180 days from the date of issue and allows up to 60 days of stay. Most visas will be issued for 30 days. Here are the documents you need to submit to the Chinese Embassy to apply for a tourist visa. A professional visa is required if you’re traveling to China for work or business. There are two types of business visas issued in China; the F (non-commercial) and M (commercial). If you’re traveling on a non-commercial exchange, such as conferences, consultations, etc, this is for you. This is also suitable for foreign entrepreneurs who often visit China. Here are documents you need to prepare to apply for a non-commercial visa. This is issued to people who are visiting China for commercial and trade activities. The process is similar to the F Visa. Important: Make sure to check the regulations before completing the necessary documents. Like other countries, China’s VISA rules are modified on a regular basis. 1. China has a strict censorship policy. Websites like Facebook, Twitter, Google, Instagram, and Gmail are blocked. The good news is, there are several Chinese social media platforms like Wechat and Weibo. Take time to learn about their features so you can maximize their benefits once you’re in China. 2. You can use a VPN to access Google, Facebook, and other blocked apps and websites. Startup Living China recommends ExpressVPN, VyprVPN, and Astrill. 3. According to Wikipedia, there are around 292 living languages in China. Standard Mandarin is the country’s official national language. English is spoken in bigger cities, but learning Mandarin will give you a huge advantage. Utilize some learning tools and platforms that can help you kick-start your Mandarin lessons. You can try ChinesePod and Skritter. 4. To avoid culture shock, familiarize yourself with proper Chinese etiquette. For starters, remember that a handshake is a common greeting form in China. People rely on facial expression, the tone of voice and posture to determine what someone feels. Avoid frowning while someone is speaking, because it’s interpreted as a sign of disagreement. 5. If you are invited to their home, consider it a great honor. Arrive in time, bring small gifts, and learn to use chopsticks. 6. Avoid taking pictures in politically sensitive areas like military bases, customs, and airports. You might be regarded as a terrorist or a person who has a certain threat. Also, some museums, temples, palaces, and monasteries do not allow the taking of photos. Be aware of the rules and obey them. 7. If you wish to snap a picture of Chinese people, ask their permission first. It’s rude to take a picture without consent. 8. When visiting temples or places of worship, wear tops that cover your shoulders. Pants, shorts, and skirts must reach below your knee. 9. There are no required vaccines for visitors and tourists to China. But for your safety, the Center for Disease Control advises travelers to be up to date on their routine immunizations. These vaccines include measles-mumps-rubella vaccine, diphtheria-tetanus-pertussis vaccine, varicella vaccine, polio vaccine, and yearly flu shot. 10. If you’re planning to visit rural areas or to work in a healthcare facility or humanitarian aid setting, there are certain vaccines you need to get. Polio vaccine, Japanese Encephalitis, and yellow fever vaccine are some of them. It’s best to see your doctor first before traveling. 11. Before flying to China, it’s wise to connect with your digital nomad community first. Here you can get valuable tips from other nomads who have been in China. They can give you helpful recommendations, such as where to stay or eat. 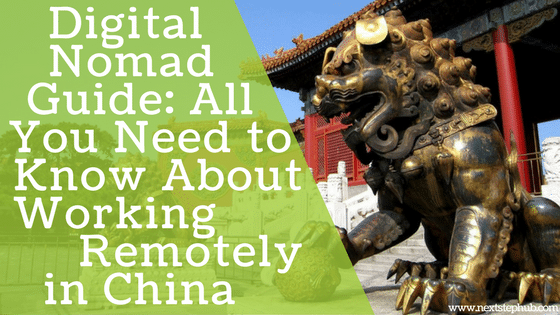 It’s not surprising that China is part of every digital nomad’s wish list. The country’s beauty, unique culture, and vast opportunities will surely leave a great mark on you. Just be sure to obey their rules and regulations to fully enjoy your stay. Have you been to China? If so, what are the other tips you want to share to digital nomads traveling in China? Tell us in the comments!